1.Saturday April 27, morning—9:30-11:30 am: A Reading Transmission of the Root Text on Seven Point Mind Training by Chekawa Yeshe Dorje (b. 1101-d. 1175). Lama Mark Webber will give essential instructions on the 59 aphorisms of Mind Training (Lojong), antidotes and methods used for recognizing what is unwholesome, what is liberative and bringing forth profound great compassion and wisdom for all beings. The 2nd half of the class also includes the procedure for a meditation session of Tonglen (Giving and Receiving). 2.Three classes: Saturday April 27, afternoon—3 – 4 pm. 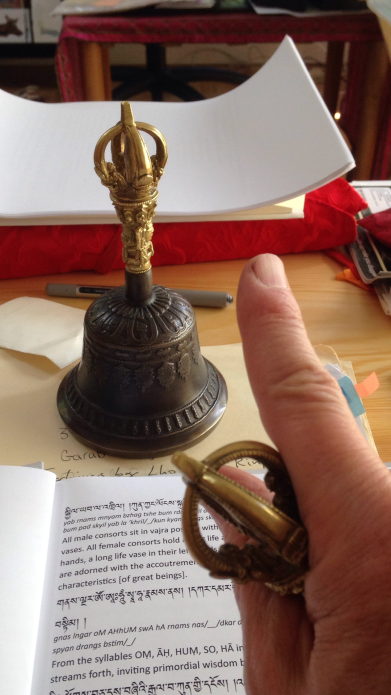 Sunday April 28, 9:30-11:30 am and 3 – 4pm:A Commentary on Lho Nüden Dorje’s Dedication and Aspiration found within the Yangzab Dzogchen Preliminary Liberation Instructions. Lama Mark Webber will give three classes of commentary and guidance on this most profound work by Lho Orgyen Orgyen Nüden Dorje, a great 19th century saint. In these thirty-five lines of verse, Nüden Dorje packs in the deepest principles of Mahayana and Dzogchen understanding; the three higher trainings, bodhicitta, view, meditation and conduct. Lama Webber will use his recently written commentary as a guide to unpack, explain and give meditations on this extraordinary work of wisdom and compassion. Location:Namgyal Choling Gompa, 455-2555 Cook Rd. Galiano Island, BC. Canada. Dana/Donations:Support for the teacher is by donation. Please give generously!